For many students, the school ski trip represents not only the highlight of the school year, but one of the best experiences of their entire school life. Certainly, the fun and excitement they enjoy has the students (and accompanying adults) talking about the trip for many years to come. But this is hardly surprising. A school ski trip offers all the benefits of normal school sports and excursions – stepping out of comfort zones, overcoming fears, promoting teamwork, achieving personal goals and the like – all while in an exhilarating mountain environment, with snow to boot. While there are snowfields New South Wales and Victoria, hopping across the ditch can add a cultural aspect to the school ski trip. 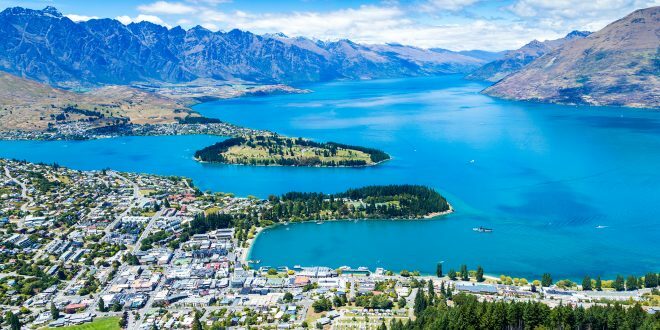 New Zealand is blessed with a great variety of commercial and club ski fields, ranging from volcanic mountain settings in the North Island to the wondrous winter playgrounds of the South Island’s Southern Alps. With the ski season running from June to October, schools have almost five months in which to slot in a trip – surely a bright spot during the dark winter term. Larger commercial fields, whose facilities often include snow-making and grooming plus user-friendly chair-lifts are often the first choice for schools, especially as they offer more extensive equipment hire options and the all-important ski and snowboarding lessons for beginners. Nevertheless, while club fields offer fewer facilities, they are often less crowded. However, it is not just the ski fields that are important when planning school ski trips; as crucial is the après-ski accommodation and social activities (often a highlight to away-from-home school students). Yet again, larger commercial fields may be the best option here, especially as they tend to be nearer ski resort towns with a range of accommodation choices or have their own on-site accommodation options. Effective planning of a school ski trip is a complex business. It involves weighing up appropriate ski field facilities, accommodation and food, travel (from school to the ski area) and transport (from accommodation to the ski field) plus entertainment and activities at day’s end or in inclement weather. Fortunately, many specialist travel operators offer all-in-one school ski trip packages that take much of the hassle out of organisation – though at an additional cost. At the same time, there is no one-size-fits-all solution to planning, with costs versus time versus convenience all specific to individual schools. The process, therefore, must also include how and where the trip will fit within the school-wide curriculum, especially if students from different year groups are involved. A well-planned ski trip comes with numerous additional benefits – as well as being fun and memorable, such trips promote valuable social and practical skills that are more widely applicable at school and later in a student’s life. For example, taking students away from familiar comforts and routines helps solidify existing friendships and create new ones, especially as the group explores new places and shares new challenges together. Students also get to see that their accompanying teachers are real human beings, providing a positive effect on the classroom environment upon return to school. Not only is a school ski trip often the first time many students have felt snow, but it may also be the first time that they get to travel away from home, allowing them to explore their independence while still in a monitored environment. Much the same can be said for other ski fields, with geological processes such as glaciation, tectonic uplift, and the effects of erosion and climate change right in front of students’ eyes. Social and cultural history, too, can be included; the sacred nature of mountains to Māori, Māori and European exploration, the advent of eco-tourism and more. As Matt says, a ski trip provides “plenty of hands-on learning opportunities for students to discover the history and stories of the mountain”. Of course, part of the fun and exhilaration of skiing and snowboarding is the risk element, without which you might as well sit in front of a screen watching someone else ski. But the inherent hazard of youngsters plus speed plus excitement carries with it the need to mitigate dangers as much as possible. Ensure that all service providers, including the those transporting students to and from the fields, have an up-to-date health and safety policy and factor insurance cover into the cost of the trip. Next Migrant students aren’t smarter than their Aussie-born peers, so why are their grades better?